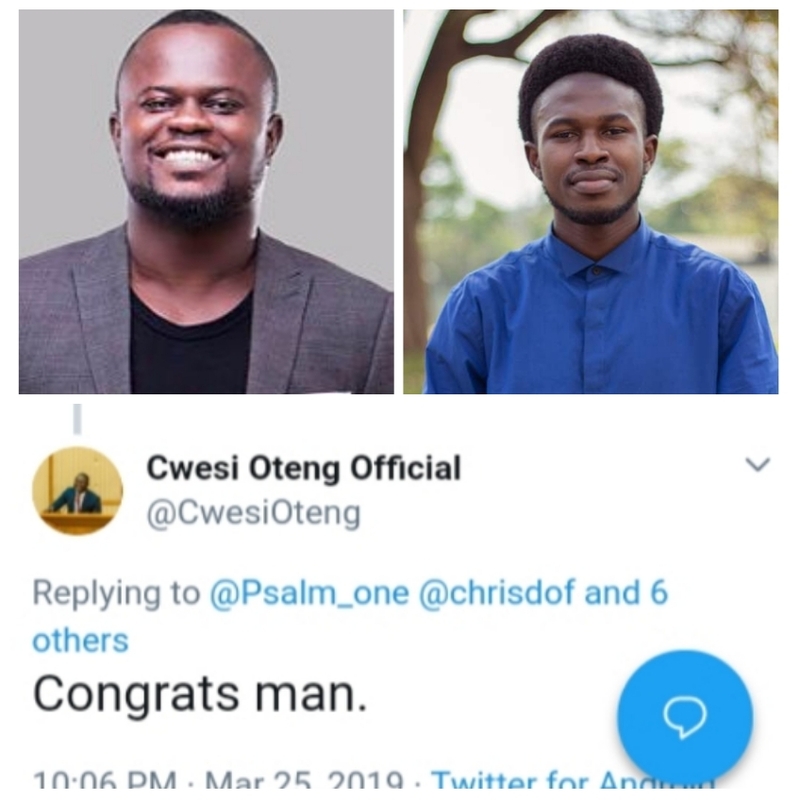 Multiple award winning gospel superstar Cwesi Oteng congratulates urban gospel pioneer rapper and spoken word poet Psalm 1, the Christ Junkie after he bagged the GUGMA 2019 SPOKEN WORD ARTIST OF THE YEAR at it's maiden edition. After the win, the spoken word king dedicated the win to everyone who supported and voted for him which prompted a congratulatory tweet from Cwesi Oteng yesterday. Psalm 1 tweeted: "SPOKEN WORD ARTIST OF THE YEAR. This AWARD Legit goes to you all that have ever and consistently Supported this Crazy Vimming skinny Afro boy who ONLY came to FULFILL his PURPOSE. Thank you! I'm grateful. #Vimming. Cwesi Oteng then replied "congrats man". Psalm 1 has been receiving so many messages for this win across social media. From Facebook, Twitter, Instagram to even WhatsApp. People have acknowledged his hardwork and dedication all these years. Truly well deserved.